Age-related macular degeneration (AMD) is the most frequent cause of blindness. Scientists at the Department of Ophthalmology at the Bonn University Hospital and from the Neural Stem Cell Institute in New York (USA) have developed a method for using stem cells to replace cells in the eye destroyed by AMD. The implants survived in rabbit eyes for several weeks. Additional research is needed for clinical application. The results are now presented in the journal “Stem Cell Reports”. 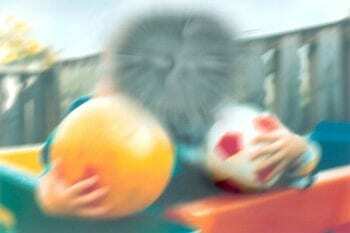 About four and a half million people in Germany suffer from age-related macular degeneration (AMD). It is associated with a gradual loss of visual acuity and the ability to read or drive a car can be lost. The center of the field of vision is blurry, as if covered by a veil. This is caused by damage to a cell layer under the retina, known as the retinal pigment epithelium (RPE). It coordinates the metabolism and function of the sensory cells in the eye. Inflammatory processes in this layer are associated with AMD and “metabolic waste” is less efficiently recycled. To date, there is no cure for AMD; treatments can only relieve the symptoms. Scientists from the Bonn University Department of Ophthalmology, together with researchers in New York (USA), have now tested a new method in rabbits by which the damaged RPE cells in AMD may be replaced. The researchers implanted different RPEs which were obtained, among others, from stem cells from adult human donors. “These cells have now been used for the first time in research for transplantation purposes,” says lead author Dr. Boris V. Stanzel from the Department of Ophthalmology at the University of Bonn. The discovery and characterization of the adult RPE stem cells was performed in the group of Prof. Sally Temple and Dr. Jeffrey Stern from the Neural Stem Cell Institute (NSCI) in New York, USA. Dr. Timothy Blenkinsop at NSCI pioneered methods to grow them to closely resemble true RPE. The implantation techniques for the new method were developed by researchers working with Dr. Stanzel from the Department of Ophthalmology at the University of Bonn. They allowed the stem cell derived RPE to grow on small polyester discs, thus yielding a thin cell layer. The researchers implanted this human RPE monolayer in rabbits under the retina. “Our research group developed special instruments to implant the replacement cells can under the retina,” reports Dr. Stanzel. After four days, the researchers used tomographic methods to check whether the replacement cells had integrated into the surrounding cell layers. “The implanted cells were alive,” reports the researcher at the Department of Ophthalmology at the University of Bonn. “That is a clear indication that they have joined with the surrounding cells.” After one week, the implanted cell layer was still stable. Even after four weeks, tissue examinations showed that the transplant was intact. “The results from the experiments prove that retinal pigment epithelial cells obtained from adult stem cells have the potential to replace cells destroyed by age-related macular degeneration,” summarizes Dr. Stanzel. Moreover, using the newly developed basic method, it will be possible in the future to test which stem cell lines are suitable for transplantation in the eye. “However, clinical application is still far away,” says Dr. Stanzel. More research is needed.